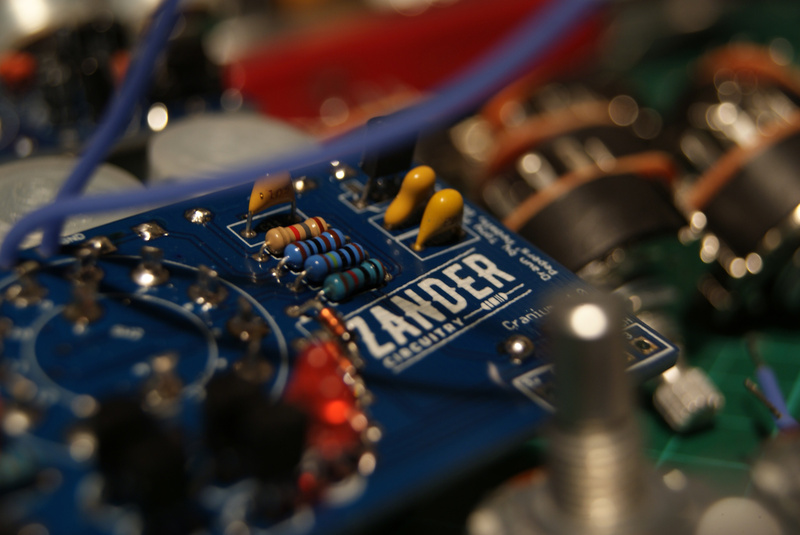 In recent years, Zander Circuitry have been making waves in the UK with their colourful range of stompboxes, which include classic effects like octave fuzzes and tape delay that focus that offer versatile tweakability without being overwhelming. 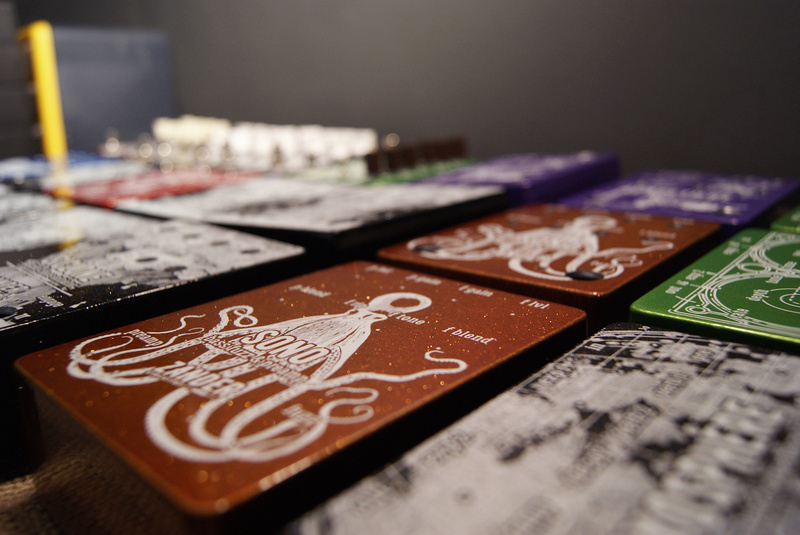 And the pedals stand out, not just for their quality, but also for their bright, eye-catching chassis. Below, founder Alex Millar explains how the brand has developed in the last few years, how he manages to balance versatility with usability, and how he went from DIY kits to creating his own line. I’d built a couple of DIY kits of basic fuzzes, and I got a huge amount of satisfaction when I plugged something in that I’d built and it worked! I then started building basic clones of old fuzzes/drives and selling them on Facebook sale groups. It was all very DIY at the time, spaghetti gut wiring and uneven drill holes from where I didn’t have a proper pillar drill, but everyone seemed to love them. After a while I started learning more about what different components did within certain circuits (very much through trial and error). I’d sit up every evening until the early hours pulling apart a fuzz schematic, wiring all the resistors up to potentiometers to see what varying the resistance did, or swapping out capacitors and messing with tone stacks. 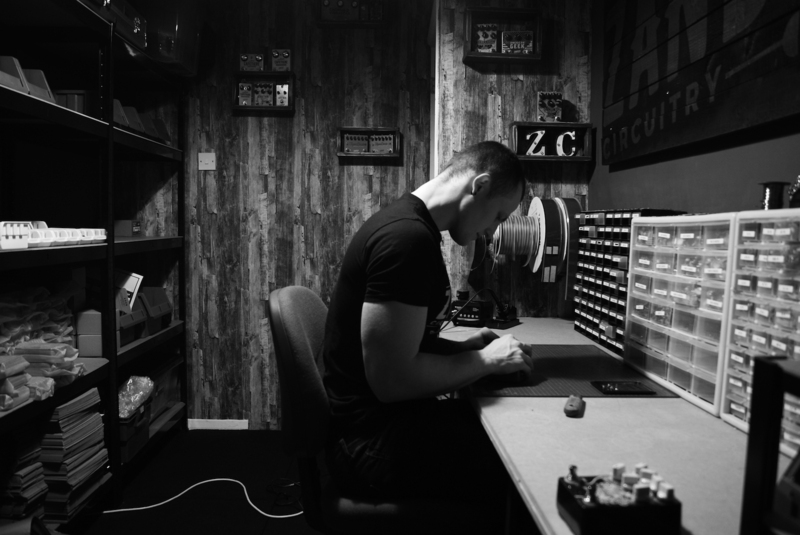 Zander came about because after a while I figured I should start putting a name to what I was doing; plus it gave me the chance to utilise the skills from my real job (graphic designer) when I started designing the graphics for the enclosures. I have an obsession with wanting to put lots of knobs & switches on everything, without it becoming confusing or alienating for the user. It becomes a balancing act between doing something just because you can, and whether someone will actually find it useful. The aim is to achieve maximum versatility whilst making it as easy to use as a three-knob overdrive. Hopefully people are recognising that is what we’re aiming for. 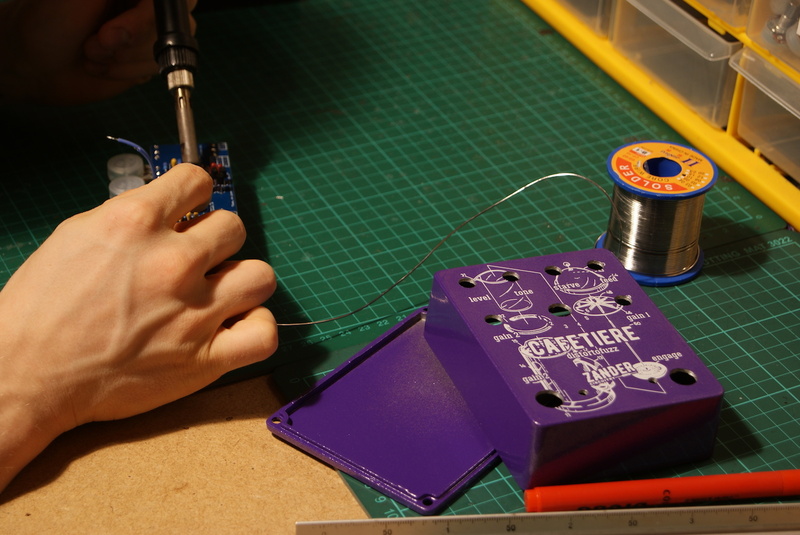 A lot of our original product line were basically heavily modified and improved versions of old fuzzes and overdrives. When I was developing them I noticed that a lot of other companies weren’t really pushing the boundaries of what was possible with those circuits and I had no interest in just putting out another part-for-part clone—because why wouldn’t you just buy the original? So, I’ll worked up a load of mods and additional circuitry that help overcome inherent problems of the circuit that make it a lot more versatile. If we’re talking fuzzes and drives, common things I might add are capacitor blend controls, variable resistance controls, and clipping diode selectors—all of which are fairly simple to implement, yet they make a huge difference to the sound of any pedal, especially when you put all those mods into the same circuit. We’re currently working on developing larger digital circuits, and whilst they are more complex from a build perspective and their capabilities, we’re aiming to retain that same user-friendliness we’ve come to be known for. We’re super excited for this stuff to come out—with any luck it’ll be by the end of 2018—and I really think it will take us to the next level in terms of the products we can offer going forward. We’ll still be making and developing new and exciting drives and fuzzes, but this will allow us to put out some very weird and experimental stuff. 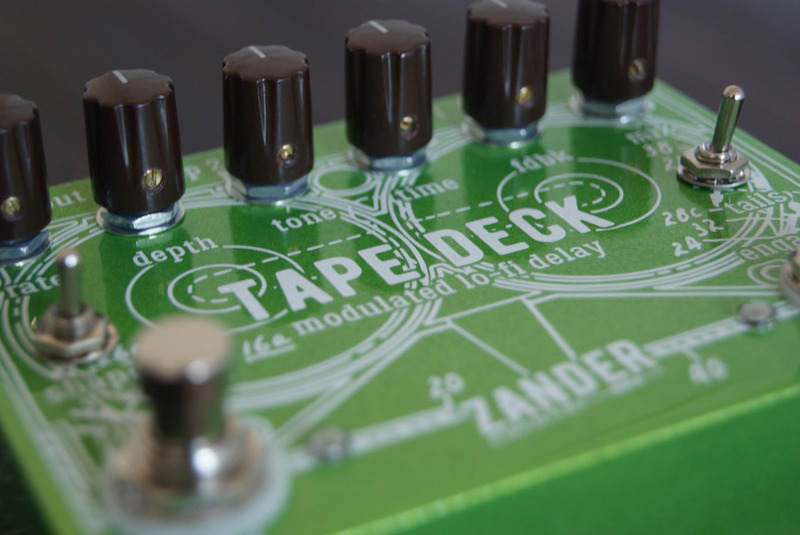 For more information about Zander Circuity and to see the full range of pedals they offer, head to the Zander Circuity Reverb Shop here or their own website here. Browse their inventory below.